Don’t stop them now - because they’re having a good time! Blackpool’s NHS Trust Choir join sensational young tenor Jonathan Antoine at Viva Blackpool at Viva Blackpool. The quest for a support act has paid off with two ‘finds’ to front the show with Britain’s Got Talent discovery Antoine. London Palladium’s ‘Busker Mum’ Hayley Moss, 28, joins the crossover singer after wowing an audience at London Palladium in a show, hosted by Bradley Walsh, broadcast on ITV earlier this month. She won a standing ovation with her rendition of Time to Say Goodbye. It marks a welcome return to the resort for Hayley who spent her childhood summers here, staying with her cousins. The impresario who put her forward for Tonight at the London Palladium Jon Conway is a veteran of Blackpool summer shows and the man behind the stunning Illuminasia attraction. Jon was wowed by her classical opera and crystal clear voice - and a repertoire which also spanned Adele and Lana Del Ray. She’s already got a record deal thanks to Sony and ticks another wish off her list - starring in Blackpool. She sings with Jonathan Antoine tomorrow night and returns to Viva Blackpool on Saturday as a guest. The Trust Choir also appear, made up mainly of local NHS staff from Blackpool, Fylde and Wyre. It has been entertaining audiences for over four years. 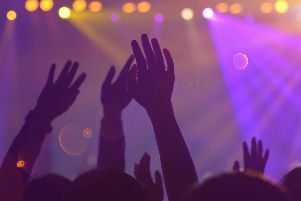 It is now encouraging other people who love to sing to join it, and share in the fun of performing.